Kate is the Creative Director of Silverprint Pictures and is passionate about developing and producing high-quality, writer-led drama. 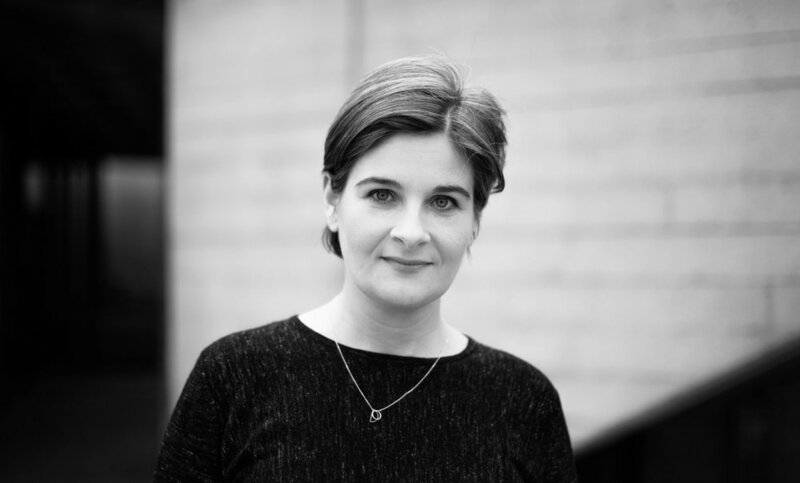 Kate began her career in drama over 20 years ago working as a Script Editor and Producer in-house at the BBC, producing critically acclaimed shows such as Canterbury Tales and North and South. She then moved to ITV Studios, where she has Exec Produced a wide range of dramas – Peter Morgan’s The Jury, Paula Milne’s White Heat, Marchlands, Jericho, Shetland, Vera and new series Dark Heart, amongst others. Antonia is the Head of Development for Silverprint Pictures overseeing the slate and seeking out the best new ideas and writers to develop projects with, for the UK and international markets. She spent her formative years working at the BBC as a Script Editor on acclaimed dramas such as Criminal Justice, North and South and ShakespeaRetold. Antonia then worked at Kudos where she developed and Script Exec'd series one of The Tunnel. Following that she moved to ITVS/Silverprint Pictures and works across a large slate of exciting new and upcoming projects for a number of broadcasters. Michael joined the Silverprint team in 2012 as Script Executive and then Executive Producer on four series of the ratings smash hit Vera and more recently, Dark Heart for ITV. He previously worked at the BBC as a Producer, Story Producer and Series Editor on over 200 hours of television including Eastenders and Holby City. He currently works on a diverse range of projects across the Silverprint development slate. Phil is the Executive Producer of Vera for Silverprint Pictures. Prior to joining the show he produced Midsomer Murders for Bentley Productions. Phil has worked in the editorial side of the industry for over ten years as Script Editor and Producer for the BBC and a range of independent production companies. His credits include – Hollyoaks, Holby City, Doctors, Hustle and Midsomer Murders. Kerry is Development Editor at Silverprint Pictures working in production and across a range of drama developments. She was most recently Script Editor on Chris Lang’s six-part crime thriller Dark Heart for ITV and prior to that was Assistant Script Editor on Shetland for BBC One. Kerry began her career in the film industry in various production roles before becoming assistant to producer Miriam Segal at Good Films. She made a move to Television and ITV after completing a diploma in Script Development at the NFTS. Phil is Script Editor on the upcoming ITV series Flesh and Blood by Sarah Williams as well as working across a range of other developments. Before joining Silverprint he worked as Script Editor on Holby City and prior to that with Drama Republic on Doctor Foster series 2, King Charles III and Black Earth Rising. He first worked in TV with factual production company CTVC, as a researcher and co-ordinator on shows such as Storyville's The Spy Who Went Into The Cold and Bible Hunters for BBC Two / Smithsonian. Amy is an assistant at Silverprint Pictures, working to support the whole team and acting as a personal assistant to Michael Dawson and Phil Hunter. Prior to joining Silverprint Pictures Amy was an actor and toured internationally, primarily in children’s theatre with the Tall Stories production of The Snail and the Whale. She also wrote and performed her own work at the VAULT Festival, before becoming a script reader for companies such as Entertainment One and Sonia Friedman Productions. Matt is the Script Editor on Vera. Prior to joining Silverprint Pictures he worked as a script editor for Vertigo Films and on long-running medical drama Holby City for BBC Studios. He began his career as an assistant at literary agency Casarotto Ramsay & Associates before making the jump to television drama as the development assistant for Noho Film and Television where he also Assistant Script Edited the Channel Four comedy series The Windsors. Angus is the assistant to Kate and Antonia at Silverprint Pictures. After three years as a secondary school teacher, he left the classroom to pursue a new career in drama. Prior to joining the team in December 2017, he was a Runner for Just So and a Reader for See-Saw Films. Silverprint Pictures recognises the importance of environmental sustainability and is committed to raising awareness and minimising the environmental impact of its programmes and operations.